The BSA175C Bit Error Rate Testers or BERTs are used for a variety of testing applications including the analysis of signal integrity, hitter, and timing analyses. 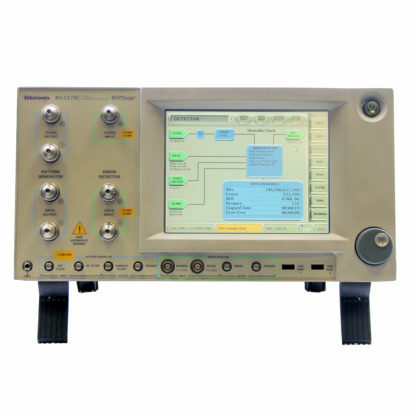 Providing industry standard certificate testing for serial data streams, the Tektronix BSA175C is a power-packed device that brings a lot of value and versatility to the fore. The BERTScope BSA Series Bit Error Rate Testers provide a new approach to signal integrity measurements of serial data systems. Perform bit error ratio detection more quickly, accurately, and thoroughly by bridging eye diagram analysis with BER pattern generation. The BERTScope BSA Series enables you to easily isolate problematic bit and pattern sequences, then analyze further with seven types of advanced error analysis that deliver unprecedented statistical measurement depth.